Updated Thursday January 25, 2018 by Saskatoon Minor Basketball. 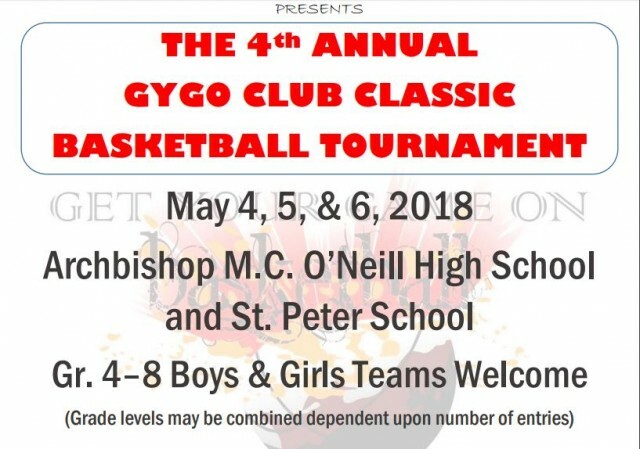 The GYGO has finally set the dates for our 2018 tournament, and we will hit the ground running May 4th, 5th and 6th! Registration and payment info is provided on the attached document. Please email us if you have any questions, otherwise we wish you all 'Good Luck' on the start of your seasons, and we HOOP to see you in May!